RedSnake Enterprises, LLC is a Dallas, Texas-based firm specializing in hunting and fishing products and technologies such as the solunar table iPhone app, iSolunar Hunting & Fishing Times. http://i-solunar.com — Watch monster bucks during the rut in West Texas with RedSnake Enterprises, the creators of the top rated iPhone apps for outdoorsmen — iSolunar and Deer Calls & Tactics Pro. These apps provide hunters with the best deer hunting times, tips, tactics, calls and more. Download iSolunar and Deer Calls & Tactics Pro from the iTunes App Store today! We are pleased to announce the release of a new and improved version of Deer Calls & Tactics for 2012-2013. This new version boasts a new and improved layout, as well as added features including a Rut Forecast and Lunar Calendar thru the 2016 Season! Check out our latest state deer hunting guides — for Texas, Pennsylvania, Ohio, Illinois. New for 2011 – Hunting Light & Blood Tracker for iPhone & Droid! 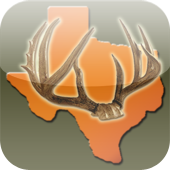 Hunting Light & Blood Tracker is the latest hunting app released by RedSnake Enterprises. This app is a handy flashlight utility that provides outdoorsmen with lights of various colors for different uses in the field. It also includes a blood tracking light to help in the identification of a blood trail left by wounded game. RedSnake Enterprises is pleased to announce that they have unleashed Deer Calls & Tactics for the Droid. We are pleased to announce that Deer Tactics & Calls is ranked in the Top 100 Sports Apps in the iTunes App Store after its first week. 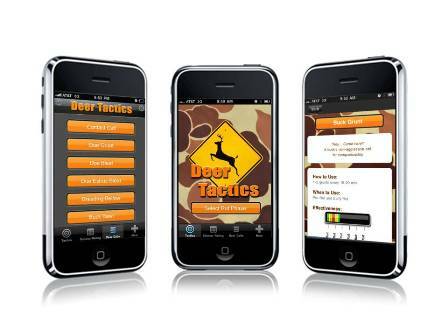 Download Deer Tactics & Calls today! 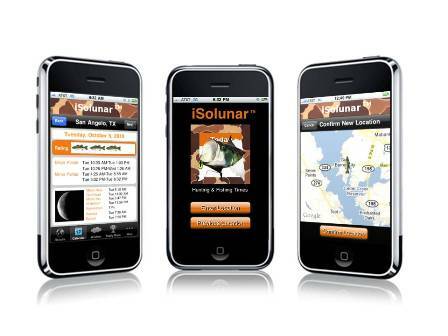 iSolunar Hunting & Fishing Times is the premier solunar tables iPhone app, providing the best hunting times and best fishing times for any date, any location – worldwide. Using the iPhone’s built-in GPS feature, iSolunar™ pinpoints your longitude and determines the peak feeding and activity times for all types of fish and wildlife based on the moon position and moon phase. There’s no easier way to get the location-specific solunar data that’s going to help you catch fish and game like never before. This app is the perfect planning tool for outdoorsmen. When arranging your next trip, just check ahead to find out the best hunting or fishing times for the date and location you’re considering. RedSnake Enterprises, LLC is a Dallas,Texas based firm specialzing in outdoor products and technologies for hunting and fishing such as the top rated solunar table iPhone app – iSolunar™ Hunting & Fishing Times – and Deer Tactics & Calls. See what users are saying about RedSnake Enterprises’ latest deer calls hunting app – Deer Tactics & Calls. We are pleased to report that within the first week of its release, Deer Tactics & Calls broke into the Top 100 Sports Apps in the iTunes App Store. Download Deer Tactics & Calls hunting iPhone app today to have the most comprehensive collection of deer calls and deer sounds and be ready a successful deer hunting experience this season.